A breath-taking missing persons thriller set under the menacing peaks of the Pyrenees. Five years after their disappearance, the village of Monteperdido still mourns the loss of Ana and Lucia, two eleven-year-old friends who left school one afternoon and were never seen again. Now, Ana reappears unexpectedly inside a crashed car, wounded but alive. The case reopens and a race against time begins to discover who was behind the girls' kidnapping. Most importantly, where is Lucia and is she still alive? Inspector Sara Campos and her boss Santiago Bain, from Madrid's head office, are forced to work with the local police. Five years ago fatal mistakes were made in the investigation conducted after the girls first vanished, and this mustn't happen again. But Monteperdido has rules of its own. 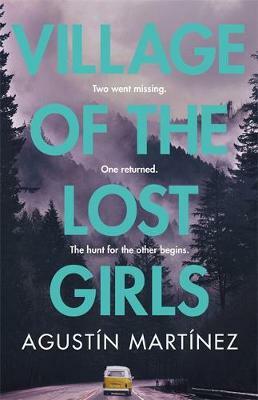 Village of the Lost Girls is by Agustín Martínez. A reporter with no fear - Brussels, 1979. Jaded Edinburgh journalist Neil Bannerman arrives in the capital of European politics intent on digging up dirt. Yet it is danger he discovers, when two British men are found murdered. A child with no father - One victim is a journalist, the other a Cabinet Minister: the double-assassination witnessed by the former's autistic daughter. This girl recalls every detail about her father's killer - except for one. The man with no face - With Brussels rocked by the tragedy, Bannerman is compelled to follow his instincts. He is now fighting to expose a murderous conspiracy, protect a helpless child, and unmask a remorseless killer. 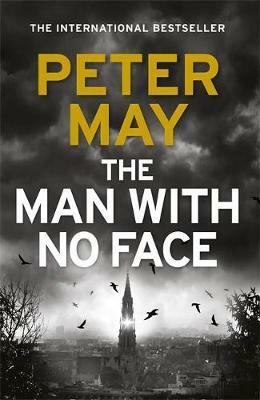 The Man With No Face is by Peter May. 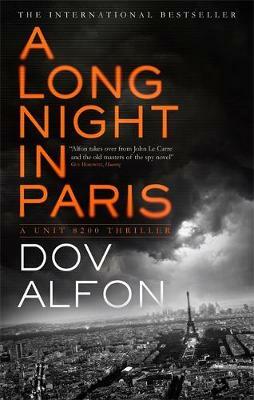 A Long Night in Paris is by Dov Aflon. When an Israeli tech entrepreneur disappears from Charles de Gaulle airport with a woman in red, logic dictates youthful indiscretion. But Israel is on a state of high alert nonetheless. Colonel Zeev Abadi, the new head of Unit 8200's autonomous Special Section, who just happens to be in Paris, also just happens to have arrived on the same flight. For Commissaire Leger of the Paris Police coincidences have their reasons, and most are suspect. When a second young Israeli is kidnapped soon after arriving on the same flight, this time at gunpoint from his hotel room, his suspicions are confirmed - and a diplomatic incident looms. Back in Tel Aviv, Lieutenant Oriana Talmor, Abadi's deputy, is his only ally, applying her sharp wits to the race to identify the victims and the reasons behind their abduction. In Paris a covert Chinese commando team listens to the investigation unfurl and watches from the rooftops. While by the hour the morgue receives more bodies from the river and the city's arrondissements. The clock has been set. And this could be a long night in the City of Lights. 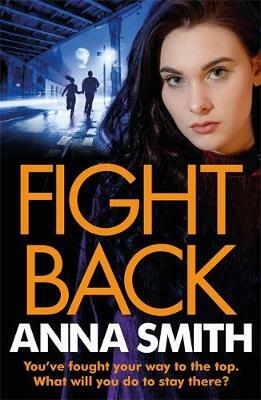 Fight Back is by Anna Smith. Kerry Casey is now a fully-fledged gangland boss. With her business partner Sharon and her wily lawyer Marty at her side, she is busy ridding her organisation of the drug-dealing, people-trafficking scum her dead brother Mickey got them involved with. But her great dream is still to take the Casey’s straight. Her plan to turn her organisation around hinges on building a property empire in Spain. But Kerry has some deadly rivals - in Glasgow, on the Costa del Sol, and even further afield. They will never believe she has what it takes to defend her turf, and they won't rest until the Casey’s are destroyed. When her enemies strike at the heart of the Casey family, Kerry must prepare for the fight of her life - for her business, her friends and her own survival. 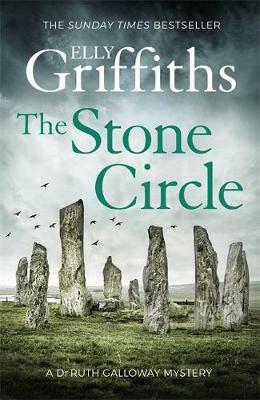 The Stone Circle is by Elly Griffiths. DCI Nelson has been receiving threatening letters telling him to 'go to the stone circle and rescue the innocent who is buried there'. He is shaken, not only because children are very much on his mind, with Michelle's baby due to be born, but because although the letters are anonymous, they are somehow familiar. They read like the letters that first drew him into the case of The Crossing Places, and to Ruth. But the author of those letters is dead. Or are they? Meanwhile Ruth is working on a dig in the Saltmarsh - another henge, known by the archaeologists as the stone circle - trying not to think about the baby. Then bones are found on the site, and identified as those of Margaret Lacey, a twelve-year-old girl who disappeared thirty years ago. As the Margaret Lacey case progresses, more and more aspects of it begin to hark back to that first case of The Crossing Places, and to Scarlett Henderson, the girl Nelson couldn't save. The past is reaching out for Ruth and Nelson, and its grip is deadly. Death stalked the Vale. In every corner, every whisper. They just didn't know it yet. Six neighbours, six secrets, six reasons to want Olive Collins dead. In the exclusive gated community of Withered Vale, people's lives appear as perfect as their beautifully manicured lawns. Money, success, privilege - the residents have it all. Life is good. There's just one problem. Olive Collins' dead body has been rotting inside number four for the last three months. Her neighbours say they're shocked at the discovery but nobody thought to check on her when she vanished from sight. The police start to ask questions and the seemingly flawless facade begins to crack. Because, when it comes to Olive's neighbours, it seems each of them has something to hide, something to lose and everything to gain from her death. 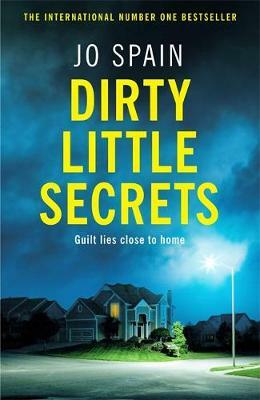 Dirty Little Secrets is by Jo Spain. To Kill The Truth is by Sam Bourne. Someone is trying to destroy the evidence of history's greatest crimes. Academics and Holocaust survivors dead in mysterious circumstances. Museums and libraries burning. Digital records and irreplaceable proofs, lost for ever. Former White House operative Maggie Costello has sworn off politics. But when the Governor of Virginia seeks her help to stop the lethal spiral of killings, she knows that this is bigger than any political game. As Black Lives Matter protestors clash with slavery deniers, America is on a knife-edge and time is running out. This deadly conspiracy could ignite a new Civil War - but who stands to gain most from the chaos? Even the deepest buried secrets can find their way to the surface... Moments before she dies, Nicola's grandmother Betty whispers to her that there are babies at the bottom of the garden. Nicola's mother claims she was talking nonsense. However, when Nicola's daughter finds a bone while playing in Betty's garden, it's clear that something sinister has taken place. But will unearthing painful family secrets end up tearing Nicola's family apart? The Last Thing She Told Me is by Linda Green. 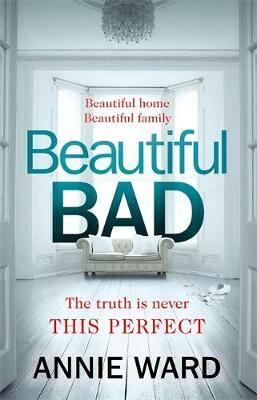 Beautiful Bad is by Annie Ward. Maddie and Ian's romance began when he was serving in the British Army and she was a travel writer visiting her best friend Jo in Europe. Now sixteen years later, married with a beautiful son, Charlie, they are living the perfect suburban life in Middle America. But when an accident leaves Maddie badly scarred, she begins attending therapy, where she gradually reveals her fears about Ian's PTSD; her concerns for the safety of their young son Charlie; and the couple's tangled and tumultuous past with Jo. From the Balkans to England, Iraq to Manhattan, and finally to an ordinary family home in Kansas, the years of love and fear, adventure and suspicion culminate in The Day of the Killing, when a frantic 911 call summons the police to the scene of shocking crime. 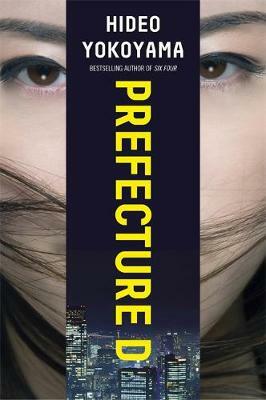 Prefecture D is by Hideo Yokoyama. A collection of four novellas: each taking place in 1998, each set in the world of Six Four, and each centring around a mystery and the unfortunate officer tasked with solving it. Season of Shadows - "The force could lose face . . . I want you to fix this." Personnel's Futawatari receives a horrifying memo forcing him to investigate the behaviour of a legendary detective with unfinished business. Cry of the Earth - "It's too easy to kill a man with a rumour." Shinto of Internal Affairs receives an anonymous tipoff alleging a Station Chief is visiting the red-light district -- a warning he soon learns is a red herring. Black Lines - "It was supposed to be her special day." Section Chief Nanao, responsible for the force's 49 female officers, is alarmed to learn her star pupil has not reported for duty, and is believed to be missing. Briefcase - "We need to know what he's going to ask." On the eve of a routine debate, Political Liaison Tsuge learns a wronged politician is preparing his revenge. He must now quickly dig up dirt to silence him. Prefecture D continues Hideo Yokoyama's exploration of the themes of obsession, saving face, office politics and inter-departmental conflicts. Placing everyday characters between a rock and a hard place and then dialling up the pressure, he blends and balances the very Japanese with the very accessible, to spectacular effect. A murdered diplomat, planted evidence and a treacherous sister: once again, Helga had better find the real killer quickly, before heads start rolling - literally - in this brand-new Viking noir mystery. Helga Finnsdottir left her foster parents, the old Viking chieftain Unnthor Reginson and his knowing wife Hildigunnur, to see the world, but she stopped in Uppsala when she fell in love. Now she's established herself as a local healer and herb-woman on the outskirts of town, and life is good - until King Eirik the Victorious calls a trade council and hairy northerners and southern Swedes alike descend on the town. Unfortunately for Helga, one delegation is headed by a very determined young woman who has her own agenda and will let nothing - and no one - get in her way. But the last time Helga saw Jorunn Unthorsdottir, her foster-sister was being cast out by their father for killing their brother Bjorn and trying to pin the blame on Helga. So perhaps it's no great surprise when one of the delegates is murdered, or that Helga's soon tagged as the lead suspect. It doesn't take her long to clear her own name, but that only leads suspicion to fall on to her man. Once again, Helga must solve a murder, and fast, before the innocent pays with his head. The Council is by Snorri Kristjansson. Berlin, 1928, the dying days of the Weimar Republic shortly before Hitler and the Nazis came to power. It was a period of decadence and excess as Berliners - after the terrible slaughter of WWI and the hardships that followed - are enjoying their own version of Babylon. Bernie is a young detective working in Vice when he gets a summons from Bernard Weiss, Chief of Berlin's Criminal Police. He invites Bernie to join KIA - Criminal Inspection A - the supervisory body for all homicide investigation in Kripo. Bernie's first task is to investigate the Silesian Station killings - four prostitutes murdered in as many weeks. All of them have been hit over the head with a hammer and then scalped with a sharp knife. Bernie hardly has time to acquaint himself with the case files before another prostitute is murdered. Until now, no one has shown much interest in these victims - there are plenty in Berlin who'd like the streets washed clean of such degenerates. But this time the girl's father runs Berlin's foremost criminal ring, and he's prepared to go to extreme lengths to find his daughter's killer. Then a second series of murders begins - of crippled wartime veterans who beg in the city's streets. It seems that someone is determined to clean up Berlin of anyone less than perfect. The voice of Nazism is becoming a roar that threatens to drown out all others. 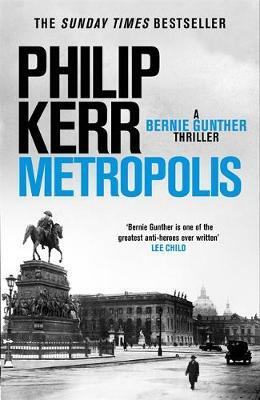 But not Bernie Gunther's ... Metropolis is by Philip Kerr. As an ex-SAS officer, Aubrey Savage is used to noticing small things. So when he offers a lift to a terrified runaway bride on the moors, he knows that there is more to her story than meets the eye. 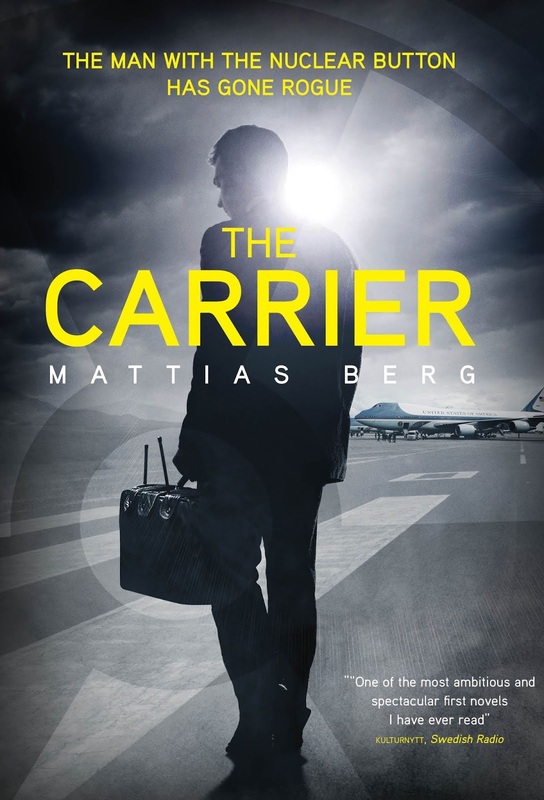 But when she is snatched away immediately, leaving behind a holdall and Glock, he is thrust into a terrifying world of corruption, and a threat that is all too close to home. In High Places is by JJ Holland. Murder convict Sean Hennessy is released from prison to return to a seaside community in Dublin. He has always professed his innocence. But within months of his release, two bodies appear in the peaceful suburb of Clontarf. With a TV documentary pushing the public's sympathies in Hennessy's direction, the original evidence against him is called into question and Detective Frankie Sheehan finds herself doubting her original analysis of the case. 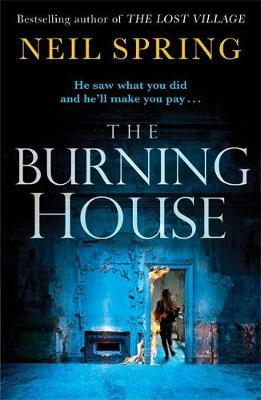 But when another, fresh victim connects the two cases and the threat closes in around her family, Sheehan must look deep within herself in order to spot the killer who hides in plain sight. 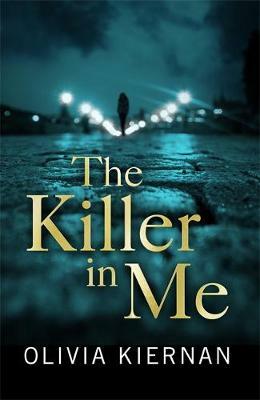 The Killer in Me is by Olivia Kiernan. You Can Run - The two boys never fitted in. Seventeen, the worst age, nothing to do but smoke weed; at least they have each other. The day they speed off on a moped with a stolen mobile, they're ready to celebrate their luck at last. Until their victim comes looking for what's his - and ready to kill for it. You Can Hide - On the other side of Kent's wealth divide, DS Alexandra Cupidi faces the strangest murder investigation of her career. A severed limb, hidden inside a modern sculpture in Margate's Turner Contemporary. No one takes it seriously - not even the artwork's owners, celebrity dealers who act like they're above the law. You Can Die - But as Cupidi's case becomes ever more sinister, as she wrangles with police politics and personal dilemmas, she can't help worrying about those runaway boys. Seventeen, the same age as her own headstrong daughter. Alone, on the marshes, they're pawns in someone else's game. Two worlds are about to collide. Dungeness is by William Shaw. as we know it. He is the man with the nuclear briefcase, part of a crack team of top-secret operatives established after 9/11 and led by a man codenamed Edelweiss. But even Edelweiss does not know the identity of their ultimate authority, known only as Sysboss. Levine has a secret. For twelve years he has been receiving cryptic messages from Sysboss - an elaborate communication that began with the words We two against the world. Slowly but surely, Levine begins thinking of escape. His chance comes during an official visit to Sweden, when the alarm sounds in Stockholm's Grand Hotel. But Sysboss has other plans for him. From their first meeting in a network of tunnels and bunkers beneath the city, Levine is drawn into a plan to eliminate the world's nuclear arsenals. But how can he be sure that controlled demolition is the endgame? Could he be working towards a controlled apocalypse, a doomsday plot to wipe humanity from the face of the earth? 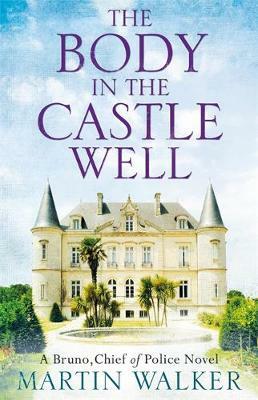 The Body in the Castle Well is by Martin Walker. A rich American art student is found dead at the bottom of a well in an ancient hilltop castle. The young woman, Claudia, had been working in the archives of an eminent French art historian, a crippled Resistance war hero, at his art-filled chateau. As Claudia's White House connections get the US Embassy and the FBI involved, Bruno traces the people and events that led to her death - or was it murder? Bruno learns that Claudia had been trying to buy the chateau and art collection of her tutor, even while her researches led her to suspect that some of his attributions may have been forged. This takes Bruno down a trail that leads him from the ruins of Berlin in 1945, to France's colonial war in Algeria. The long arm of French history has reached out to find a new victim, but can Bruno identify the killer - and prove his case? Life for Paul Samson has gone downhill since he last saw Denis Hisami. His luck on the turf has run out and, broke and a little desperate, he has accepted a dangerous assignment searching for a missing American businessman in Russia. Then he receives a call from Hisami asking him for a meeting. Hisami has a bombshell to drop: Anastasia Christakos, the third member of the unlikely trio who searched for Naji 'Firefly' Touma across the Balkans three years ago, has been kidnapped, and Hisami wants Samson to find her. Given that Anastasia recently left Samson for Hisami, it's a bold request, but Samson is unable to say no. It soon becomes clear that Anastasia is being held by parties with Russian connections in order to manipulate Hisami's business dealings. Is there a connection to Hisami's early business dealings, or even to actions taken by Hisami twenty five years before when he was a member Kurdish special-forces and intelligence? It will take all of Samson's courage and guile to find out - and meanwhile the life of the only woman he has ever loved hangs in the balance. White Hot Silence is by Henry Porter. Carey Logan - She was the genius wild child of the New York art scene, and my idol. Fake - I was a no-name painter from the Florida backwater, clawing my way into their world. Like - When she died, she left a space that couldn't be filled. Except, maybe, by Me - Everything that gets created destroys something else. When a fire rips through her studio and burns the seven enormous paintings for her next exhibition, a young, no-name painter is left with an impossible task: recreate her art in just three months - or ruin her fledgling career. Thirty-four, single and homeless, she desperately secures a place at an exclusive upstate retreat. Brimming with creative history and set on a sparkling black lake, Pine City and its founders - a notorious collective of successful artists - is what she's idolized all her life. She's dreamt of the parties, the celebrities, the privilege. What she finds is a ghost of its former self. The recent suicide of founding member Carey Logan haunts everyone, lurking beneath the surface like a shipwreck. And one thought begins to shadow her every move - what really happened to her hero? 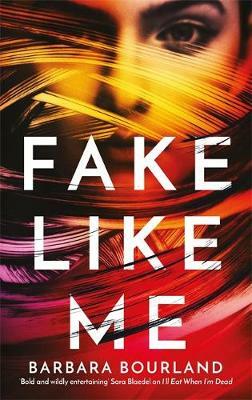 Fake Like Me is by Barbara Bourland.